Pen y Bryn, Abergwyngregyn, formerly known as Garth Celyn, the place of Princess Gwenllian’s birth. Gwenllian, the last native Princess of Wales, was born on June 12th 1282. Hers was a dramatic entry to this world – her father, Llywelyn ap Gruffydd, was in hiding from King Edward’s men, and her mother, Eleanor de Montfort, died shortly after giving birth. Who was to look after the little princess? In the first chapter of Owl at Midnight Patricia Lennan describes Gwenllian’s dramatic entry to this world. The whole court was in panic. Olwen, the midwife, was desperately trying to display an air of calm and control; her Lady was slipping away and her Lord had not arrived. Lady Eleanor had been in labour for two days and still the babe was not born. Olwen had not left her side and was near to exhaustion, but how could she complain when her Lady was in agony and had barely the strength to talk. It had been a long hot night and the morning sun was beginning to filter through the high window, promising an even hotter day. The young maid, Catrin, hovered around the bed not knowing what to do or say, tears falling down her frightened face. Catrin scuttled off not quite knowing what to do first. She rushed down the stairs via the kitchen to the laundry room, hearing Eleanor’s screams behind her. It was only a few minutes later as she climbed back up the stairs to the bed chamber holding a pile of fresh linen that she was aware of how quiet it was. Then, into the silence broke the mewl of a new-born. “Thank heavens, the baby lives,” she muttered to herself as she crept back into the bedchamber. But Eleanor lay still, she could barely raise her head or speak . 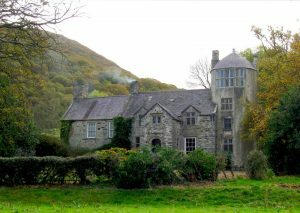 . .
Posted in Books, Historical novels & novels and tagged 12th June 1282, Abergwyngregyn, birth, book, Eleanor de Montfort, Garth Cleyn, Gwenllian, Gwynedd, King Edward, Llywelyn ap Gruffydd, Owl at Midnight, Patricia Lennan, Pen y Bryn, Princess, Princess of Wales, taster, Welsh princess.